Nova Scotia Auditor General Michael Pickup is warning the province's health care needs urgent reform because the current hospital-based system is "not sustainable." 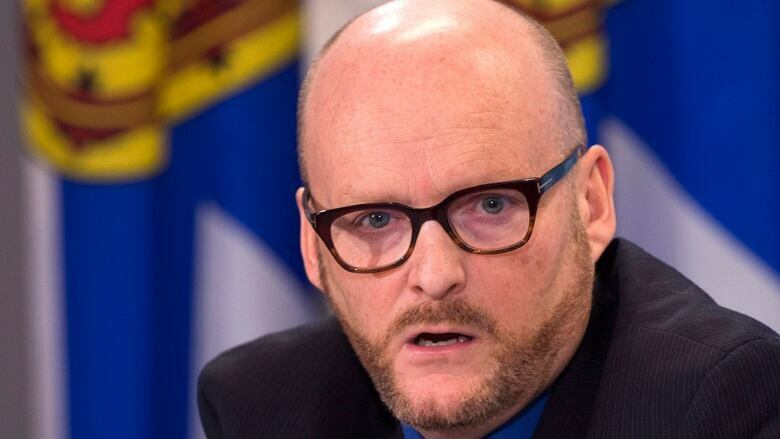 Nova Scotia Auditor General Michael Pickup is calling into question the number of hospitals in the province and is suggesting some communities could do without overnight emergency care. In his latest report, Pickup suggested there were too many hospitals in Nova Scotia. There are 41 facilities in the province — some, according to the report, within 30 minutes of each other. The report recommended the Department of Health "review hospitals located close to each other to assess whether this is the most efficient and effective approach in providing health care to Nova Scotians." "Look at your inventory of 41 facilities and figure out what you actually need, where, what it needs to do," Pickup told a legislature committee on Wednesday. "Engage people in that discussion and share with them." The department has agreed to the review. So too has the Nova Scotia Health Authority. When it came to the 37 emergency departments in the province, auditors noted some see few patients overnight. Auditors noted figures from a 2014 review of ER usage. It shows the emergency departments in Annapolis, North Cumberland, and Parrsboro saw an average of less than one patient a night. In Musquodoboit Harbour and Tatamagouche doctors saw, on average, one patient a night. "This is a poor use of resources," concluded auditors. This shouldn't come as a surprise to health administrators since the underuse of emergency services was well documented in a report made public in 2010. In his latest report, Pickup found the "historical approach to health care delivery, with a heavy focus on hospital-based care, is not sustainable given the province's fiscal situation." Although the AG's office acknowledged some work has been done to improve the situation, the report said "more work is required to create a system that can continue to provide health care to Nova Scotians into the future." "The department and the health authority must deliver health care more efficiently and more effectively as well," Pickup said. "The way things have been working are not the most efficient and effective ways to deliver health care." Auditors also noted an immediate need for capital funds to fix problems at rapidly aging hospitals across the province. "Annual capital funding through the Department of Health and Wellness and the Nova Scotia Health Authority is not enough to complete urgent repairs on hospitals throughout the province," said the office in the report. According to the report, the gap between what's available in this year's budget — $29 million — and the work that's needed — $114 million — is $85 million. "Assessment of proposals for significant infrastructure funding will include reviewing issues of access, patient safety and quality, and cost effectiveness," said the department. The response by the Nova Scotia Health Authority is more direct: "Agrees with this recommendation and intends to implement." When it comes to moving patients from the emergency department into beds more appropriate to the level of care needed, the report also found room for improvement. "The Nova Scotia Health Authority is not adequately addressing issues that slow patient movement within hospitals and cause emergency department crowding." Progressive Conservative finance critic Tim Houston said it was time for the governing Liberals to tell Nova Scotians what its plan is to improve health care. He wasn't sure whether that should involve closing hospitals. "I don't know the answer to that today but the minister has a $4-billion budget and he has thousands of smart people at his disposal [so he] better start looking at that," he said. "[With] schools, we have a school review process; maybe we need something like that in health care too." Former NDP health minister Dave Wilson wouldn't say whether hospitals or clinics need to be closed. He said that wasn't really the question that needed to be answered. "I don't hear from Nova Scotians saying close hospitals, open hospitals," he said. "What they really care about is the access to the care. I think if it's in a collaborative emergency centre they're happy with that. It's if they can gain access to it."